Using sports as a tool, our main objectives is to educate students who are healthy both in terms of physical and mental health, who can approach complex cases with an analytical approach, who work together, who think analytically, who are respectful of differences in their social life, who have adopted the concepts of empathy and sympathy, who can celebrate a win and accept a loss, with a strong character against harmful substances. 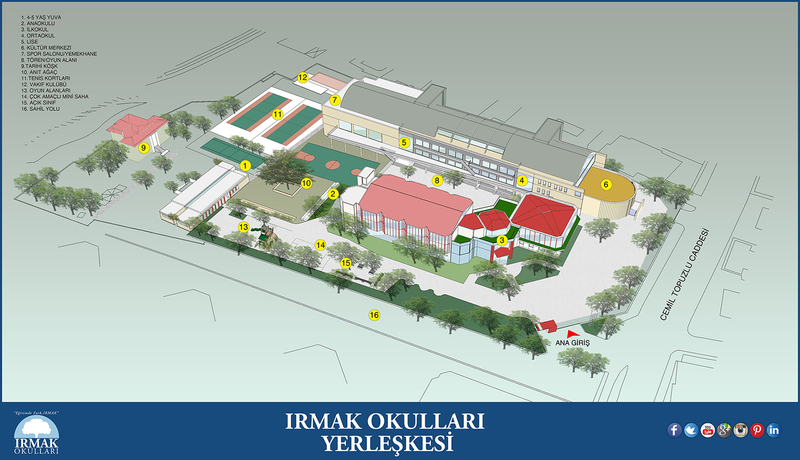 It is aimed for Irmak students to gain the following achievements when graduating form secondary school. Take the necessary safety measures when taking part in physical activity. For the Irmak Schools Physical Education courses, the learning of life skills which can be transferred to natural life with vertical planning enriched with national and international curriculum is an indispensable part of general education. Due to the nature of Physical Education courses, students are allowed to enhance the skills in different disciplines. Our program is structured at K-12 level in order to contribute to the physical, psycho-motor, cognitive, emotional and social development of the students; and aims to ensure participation in physical activities for life. Every student who has graduated from Irmak Schools has specifically become acquainted with the sport of Tennis, and has important culture on all other branches of sports. This page was created on 8.2.2017 10:47:36 and has been visited 1075 times.